Our attorneys have achieved positive outcomes for clients in a number of construction law matters. 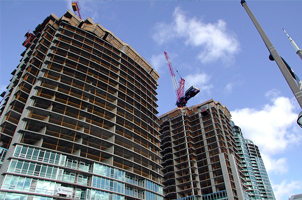 These matters have involved allegations of design failure (both building and component design failure), claims for personal injury and property damage arising from the failure to implement proper safety procedures, oversight of personnel and/or guarding, claims for negligence construction management, use of defective materials, and claims involving equipment related accidents and injuries. Some of these cases have also involved claims which require the determination of employment and/or independent contractor status and examinations of causation through a chain of events and involved entities.